She is big, beautiful and wants to be an inspiration to all ladies who may be worried that they are too large for a comfortable life. And 31 year old Croydon born Katherine Henry, a mother of one and now firmly part of the Oxted scenery, has proved that her 18-20 size - she weighs in at 108 kilos - could be a winner. For Kat, who works for a law firm in the City, is one of the finalists in the Miss British Beauty Curve 2015 competition. 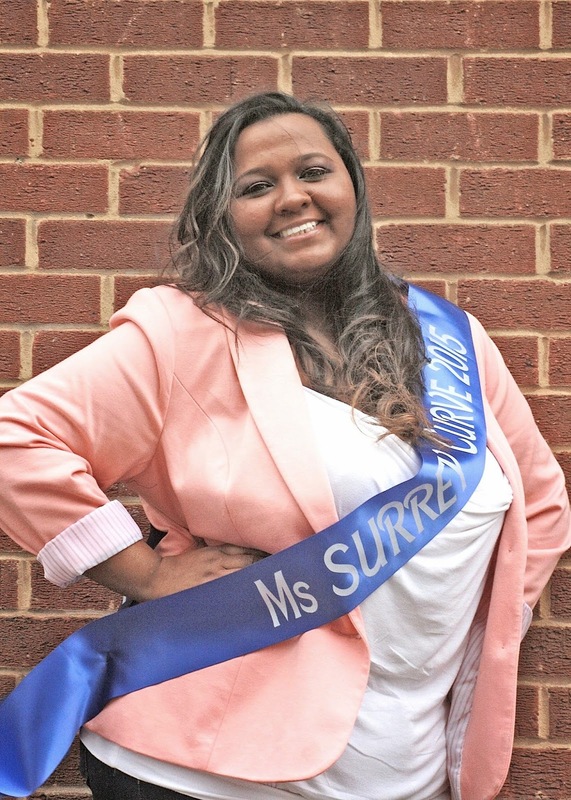 The grand final is at Epsom Playhouse on August 8 and she is representing Surrey. "I want Surrey to be proud of me" she said. Miss British Beauty Curve is designed to empower ladies who are UK size 14+ to celebrate the beauty that being larger holds. "Beauty comes from within" said Kat who has lived in Oxted for five years. "It is not a terrifying thing to be big." That's the message Kat is keen to spread to adults and youngsters through her work as an ambassador for Ms Curvaceous UK. She was obviously chosen for her vivacious, outgoing personality. She would like to visit schools and talk to students about being big - not to be confused with obesity. "My goal is to inspire people and promote body confidence to all body shapes and sizes." she says. "I really feel it's important to instil that acceptance especially in the younger generation." Kat, who is signed to a model agency, will be contacting local businesses to gain support for her attempt on the Miss British Beauty Curve contest, not with financial help but by publicising her desire to help the larger lady. The Oxted County Border News is a locally circulated paper which is printed weekly, it contains all the local happenings and is a brilliant forum to celebrate Surrey's achievements.